This Dart 8X8G 8 oz. 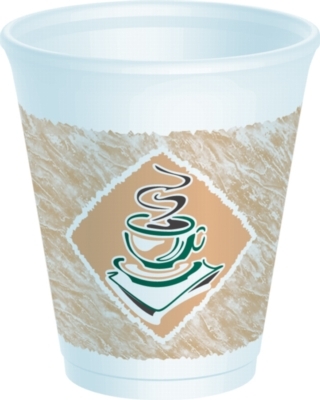 foam cup has a one-piece molded construction, distinctive pedestal, and a space-saving design. Features an upscale, gourmet coffee design in brown and green. This cup will keep drinks at its proper serving temperature longer. 8 oz. capacity. Sold 1000 per case.